Do not adjust your computer screens! 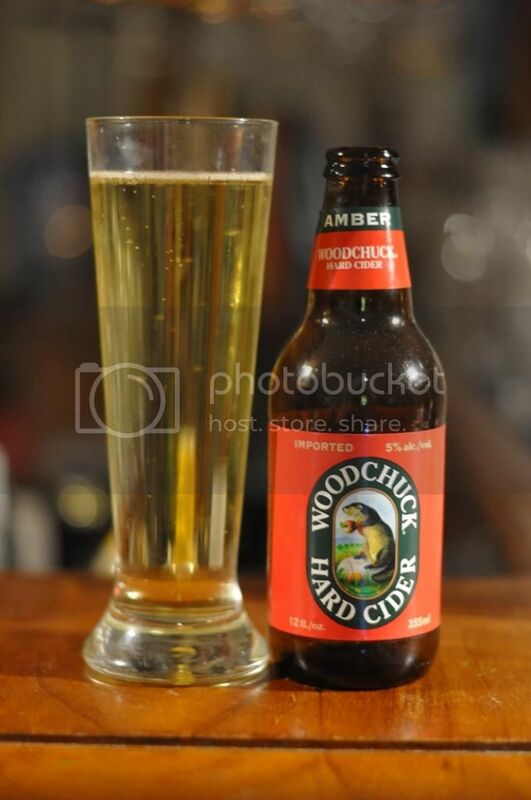 This is a full length Cider review on Beer O'Clock Australia. As my palate has developed I've been able to appreciate some ciders, I still can't go near the sickly sweet ones without feeling unwell! I had this 3 times to earn the badge, and it's actually pretty good. Now normally I base my appearance on what the style should look that. I'm not particularly well versed in what craft ciders should look like, obviously I know what a Magner's or 5 Seeds looks like but that would be like comparing Guinness to what Heineken looks like. With this in mind, it pours a very clear light yellow colour. There was initially a white bubbly head, as you can just aboutmake out in the picture, but it had almost no retention and left no sign of ever being there. 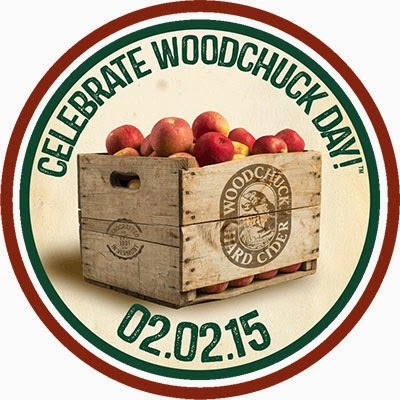 Woodchuck Amber smells of apples, funnily enough. They seem to be sweetish but not over the top. It's also got a slight yeastiness to the nose which I find quite interesting. It basically smells like fizzy apple juice. The taste is similar with sweetish apples dominating the flavour. It's lightly acidic which provides a nice tartness to the cider. It tastes like the very expensive super-market apple juices, with some carbonation and a bit of alcohol. I quite like it even though I can't quite explain the flavours I'm drinking. I'm not sure I could drink this regularly, but once in a while this could hit the spot. It's got good apple flavour without being too sweet. The bit of tartness is what really makes this cider. I clearly have no idea what I'm talking about when it comes to cider though, so for now I'm going to stick to reviewing beers. Hopefully I'll get something up for you all soon. Interesting. Must be a sweet cider considering the strong apple juice contrast. I guess the acidity could be coming from the green apples they use in the pressing process. Good read and very intriguing! Cheers mate. From memory it was the contrast between the acidity and the sweetness that made it quite enjoyable. Without the tartness I think it could've become cloying.